Calling for the community to “hero up,” S.H.I.E.L.D. 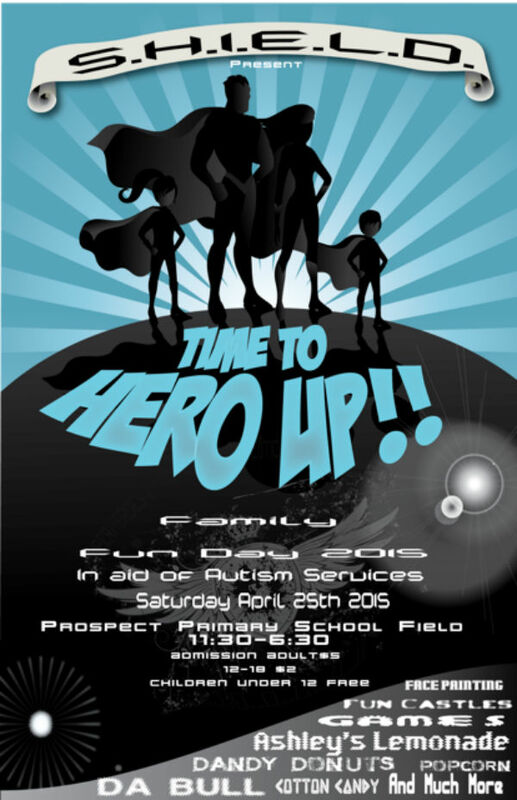 is getting set to host a Family Fun Day in aid of autism services on Saturday, April 25. The event will be held at the Prospect Primary School field from 11.30am through 6.30pm. Admission for adults is $5, children 12-18 get in for $2, and children under 12 are free. The day will include face painting, fun castles, games, Ashley’s Lemonade, Dandy Donuts, popcorn, cotton candy, sumo wrestling, a giant slide, trivia, prizes, and more. Event organizer Tamisha Simons said, “We chose for the event to support autism for two reasons. First, April is Autism Month worldwide. Second, because the event is being organized by two of the Department of Education Autism Classrooms, the Prospect Primary Superheroes and the Dellwood Avengers. “Over the last three years, myself and my co-workers have been involved in trying to promote autism awareness across the island in support of our students and their families.